There never seems to be anything remotely fun to write about going on in the news these days. And all the survey-type things I find on Yahoo are dumb in my opinion. (If you're a fan, there are plenty of them on there right now. Knock yourself out.) Sure we have news, but it's all so serious [imagine that spoken in a really drawn-out monotone to get the full effect]. 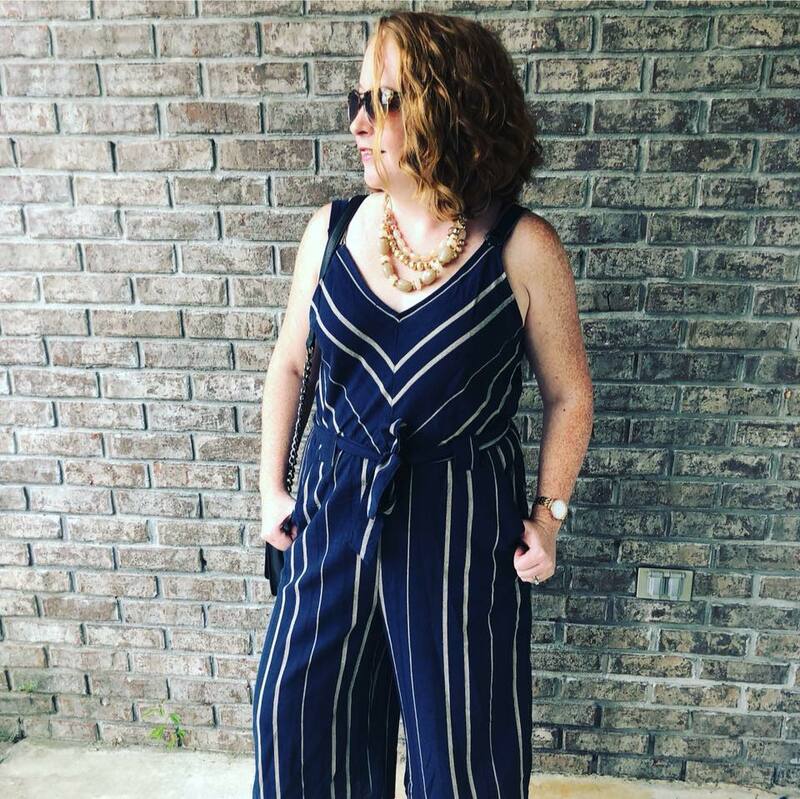 I was reading through the blogs I follow, and I almost decided to just dedicate today's post to directing what little bit of traffic I have to my favorite bloggers, but then I read Christina in Wonderland's latest post about the Rubik's Cube (fyi, it's pretty funny). So I decided that today's post would be a throwback edition. I'm a kid of the 90s. I remember bowl-style haircuts, straight-legged jeans giving way to bell-bottoms, nano pets being banned at school, the boy band craze, and the original Snick. I remember all the neighborhood kids playing hide-and-go-seek in the summer until the porch lights came on. It was a time before video games and social media sites started their slow takeover of today's kids. Sure, we had a Nintendo, and yeah we probably spent too much time in front of it, but we also got up off our couches (and if we'd had them our computer chairs) and actually played outside in the dirt and sunshine. And that's what today's post is dedicated to: playing. Well, toys to be more specifically. And even more specific than that - the greatest toys of the 90s. 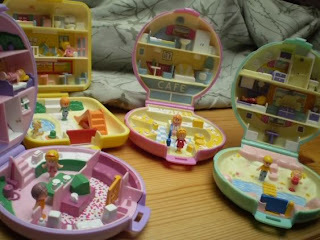 Polly Pocket: the original ones. You know, the ones that actually fit in your pocket. The ones they make today are nothing like what I played with. They're much bigger and more complicated. In a word, they're undeserving of the Polly Pocket title. Now, to be honest, these guys are still around, and I'm sure there are still collector fanatics out there. But there's not as big a demand for these as there was back before I was in high school. I mean, these bean-filled plush animals were such a big deal McDonald's even had to get in on the action. People competed to see who could collect the most. 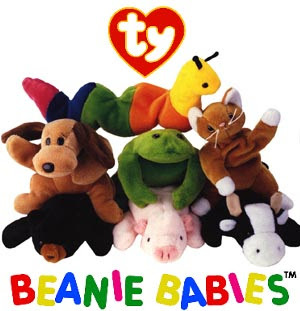 It was beanie baby mania. 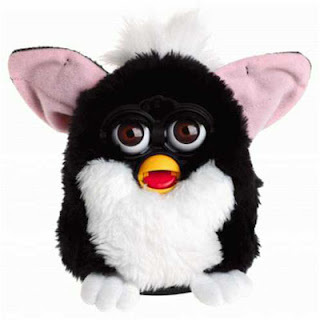 Furby: Okay, so these are kinda creepy now that I think about it. But back in the day these guys were cool. A real must-have. I never actually had one, but boy did I ever covet them! 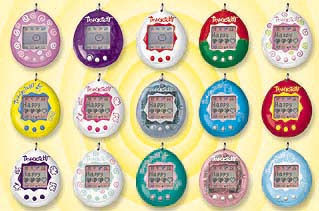 Nano Pets: Everyone who was anyone had one of these, and if you didn't have one you were doing everything in your power to get one. These little virtual pets were all the rage back when I was in elementary school, fifth grade if I remember correctly. They got so popular and were causing such a distraction they were banned from schools all across the country. I had two - Salem the Cat from Sabrina the Teenage Witch (He was a horrible nano pet. Never made it through one night without dying.) and a dinosaur or something like that. Those are my top four greatest 90s toys ever, but not all of those made the best-seller list. I am so glad you did this post! It makes me all nostalgic and fuzzy in my tingly parts. I totally miss the 90s. They need to make a comeback. As do Giga/Nano Pets. God those things were awesome! I'm pretty sure you can still find them. I'm kind of ashamed to admit this, but I bought one a couple years ago because I was bored on a car trip.